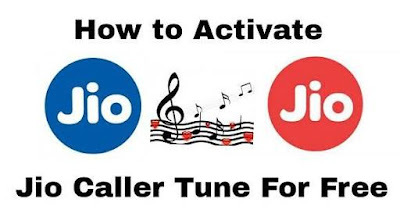 Best Method To Activate Caller Tune In Your Jio Sim For Free Of Cost With Lifetime Free Trick. Choose Hello Tune From Movies & Singer, Album’s Specific Song. Hi reader hope everyone enjoying our free Recharge offer and best update of paytm loot tricks. we are update here daily loot basses trick & deals offer, trick. so we are back jio free hello tune offer. let’s read about it. Now never get tring tring sound when any Caller will calling you on your jio sim. hello guys we are back in with a new jio post after few month. in this post we will share you a best trick where jio caller tune will be free for lifetime with you Favorite song. when any one call you they will sing your Favorite song through caller tune. today’s trick is really simple and any jio user will apply for this. if you are volte or non volte user you both also use this method. so here we will discuss about free jio caller tune for lifetime. Not only that you can choose here you Favorite song as caller tune. jio Stored million of India & international song on their server just search your likable song as set as caller tune. to help to find our Favorite song jio stared a toll free number where we choose song by sending sms. so let’s he how to activate it. Before one year ago jio will provide us free call, net, sms & caller tune and many other services. now everything is charge but jio still provide us free hello tune service. this service you can use for lifetime. enjoy today’s trick. thank you.